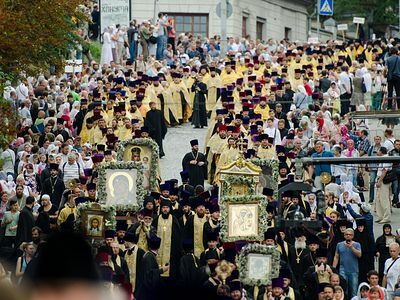 The festive celebration of the 1,030th anniversary of the Baptism of Rus’ will take place this Friday and Saturday in Kiev, with a moleben on Vladimir Hill and a cross procession to the Kiev Caves Lavra, where the Vigil and Divine Liturgy for the feast of the baptizer of Rus’ St. Vladimir the Great will be celebrated. This great event for the Orthodox world will be fittingly celebrated with delegations from 12 Local Churches attending the festivities, Fr. Nikolai Danilevich, the Deputy Head of the Department for External Church Relations of the Ukrainian Orthodox Church, reports on his personal Facebook page. 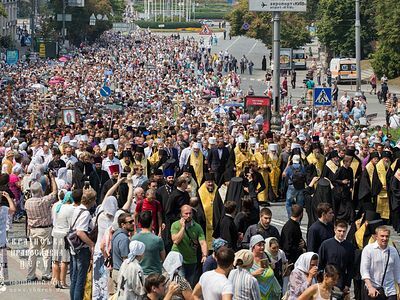 According to the archpriest, His Beatitude Metropolitan Onuphry of Kiev and All Ukraine wrote letters of invitation to the heads of the 14 other Local Orthodox Churches throughout the world, and delegations from 12 of those Churches will be able to attend the events. 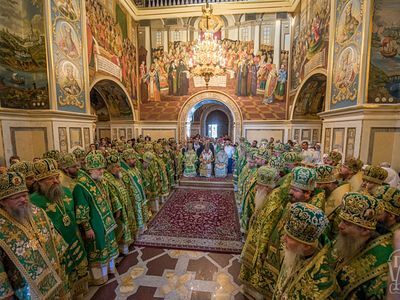 Among the delegations attending the canonical Ukrainian Church’s celebrations is that of the Ecumenical Patriarchate, to which Ukraine’s schismatic “churches” earlier appealed for a tomos of autocephaly. According to Fr. Nikolai, the names of the bishops from each delegation will soon be published on the official site of the Ukrainian Orthodox Church. Only the Romanian Orthodox Church and the Orthodox Church in America will be represented by priests, and only the Churches of Antioch and Greece will not be represented, “and that only for technical reasons,” Fr. Nikolai writes. “There are various circumstances in life, and we shouldn’t make strategic conclusions from everyday affairs,” he emphasized. Fr. 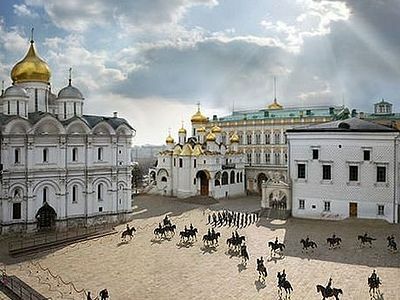 Nikolai also noted that the number and level of Church delegations that will be participating in the Ukrainian Church’s celebrations show that all the Local Churches support the canonical Ukrainian Church and His Beatitude Metropolitan Onuphry, as the Churches themselves have often expressed. 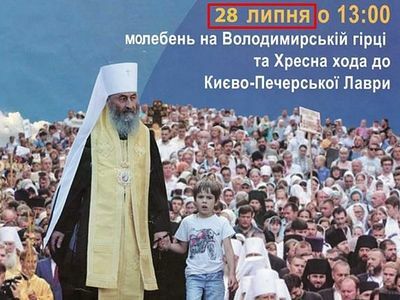 “The delegations of the Local Churches are coming namely to the Ukrainian Orthodox Church, and not to the authorities (and moreover, not to the [schismatic] “Ukrainian Orthodox Church-Kievan Patriarchate” and the “Ukrainian Autocephalous Orthodox Church”) and will take part in the Church events. This all testifies to the fact that the Local Orthodox Churches do not support the idea of granting a tomos [of autocephaly] in circumvention of the Ukrainian Orthodox Church,” Fr. Nikolai concluded. 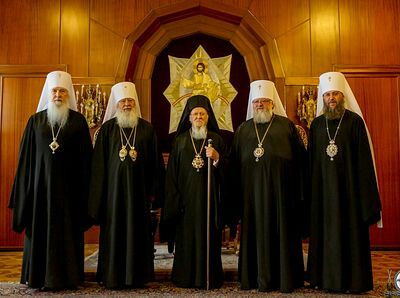 Ukrainian President Petro Poroshenko and the Ukrainian Parliament and the two above-mentioned schismatic churches appealed to the Ecumenical Patriarchate in April to grant a tomos of autocephaly, thereby creating a new Ukrainian church made out of the schismatic bodies. The canonical Church opposes the initiative. With the blessing of His Beatitude Metropolitan Onuphry of Kiev and All Ukraine, a delegation from the canonical Ukrainian Orthodox Church of the Moscow Patriarchate had an audience with His All-Holiness Ecumenical Patriarch Bartholomew of Constantinople and a delegation from his Church on Saturday.